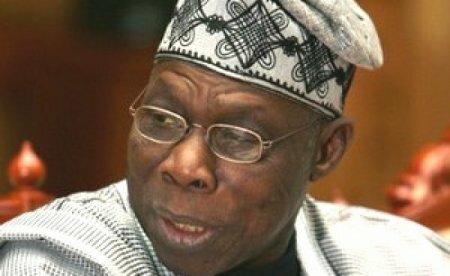 Former Nigerian president, Chief Olusegun Obasanjo has said that his decision to suddenly retire 93 officers in a day ensured that the Nigeria Army was rid of officers capable of staging coup d’état, saying the action is responsible for the survival of the Fourth Republic. He also said that even though the measure was not ideal, it was the only option at that time that was capable of making the military a truly professional institution. Obasanjo Obasanjo, who said this in a book he co-authored with three other people entitled: Making Africa Work, explained that he specifically retired officers, who had either participated in coups or enjoyed the benefits of coups. His words: “A coup is a treason punishable by death only if it fails, and yet it puts the plotter in the State House if it succeeds. It was a destructive and destabilising practice, wasteful for the military itself, and undermining in terms of discipline, good order, and military conduct. “A junior officer takes a gun and looks at his political boss and senior officers through its sights, bumps them off and puts himself in the State House. “He instantly becomes superior and senior to all political and military officers. Such was the situation existing in Nigeria between 1966 and 1999. “On assuming office as President, I decided to put an end to these incessant coups. I asked the military to submit the list of all officers who had either participated in coups in the past or benefited in the dividends of coups by being appointed to political office as governors or ministers. “Not knowing what the list was meant for, the military faithfully compiled it and submitted to me as the Commander-in-Chief and chairman of the council of each of the arms of service. Ninety-three officers in all were given six hours notice of retirement on a Friday and ordered not to spend the Friday night in uniform or in barracks to prevent an adverse reaction. “The retirement of these 93 officers all in one day was salutary. It meant that taking part in a coup and benefitting from one could catch up with you, no matter how long it would take, and for as long as you are alive. “Some of them later entered politics and became elected governors; some went into parliament; others got appointed as ministers and ambassadors. “And once an officer has tasted the trappings of a political life, of living in a government house, with free food and so on, he would easily look for excuses to want more if he is in a position to make it happen.